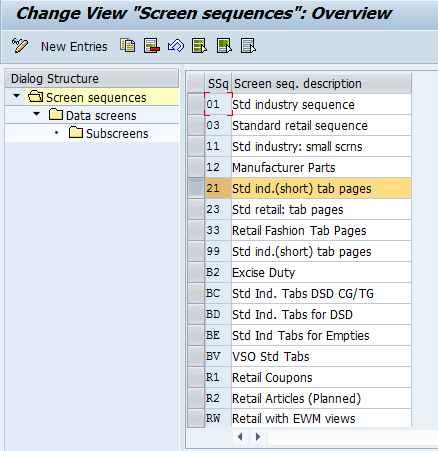 If you need to extend your Material Master view tabs then this article will show how you can do it in few simple steps. 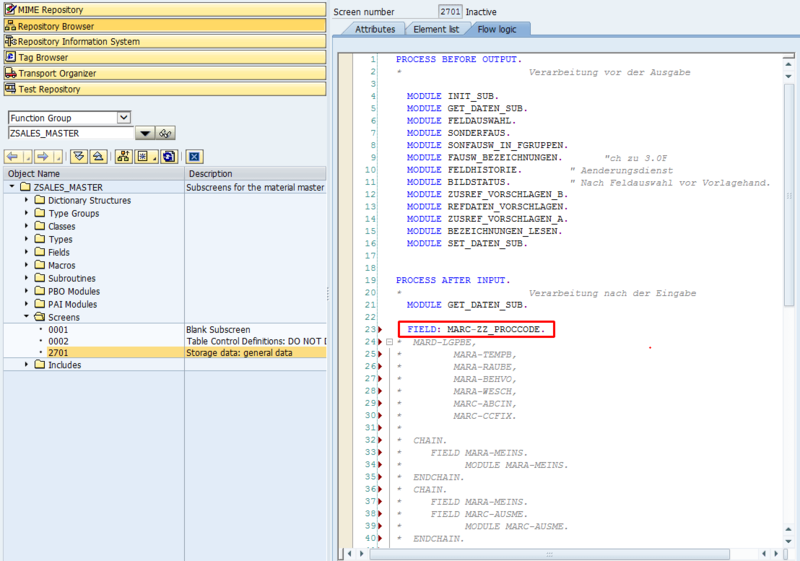 Let’s have an example where we’d like to add some Plant-specific fields to the Material Master and we’d also like these fields to be visible and editable in MM transactions MM01 / MM02 / MM03. 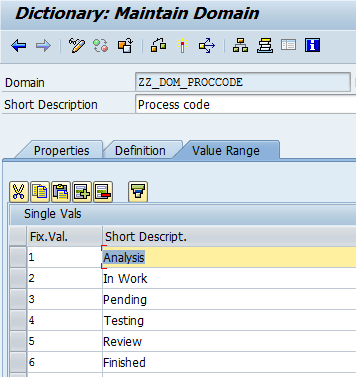 Add your fields to the Append-structure – In our example we will add field for storing a process code called ZZ_PROCCODE of type ZZ_DTEL_PROCCODE built on domain ZZ_DOM_PROCCODE. 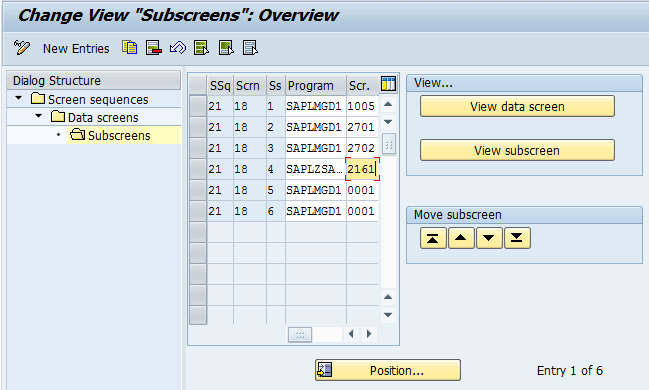 Create new function group (you can skip this step if you already have a FUGR created for this purpose) where you define new sub-screens which will contain your custom fields. Let’s call our new FUGR ZSALES_MASTER. 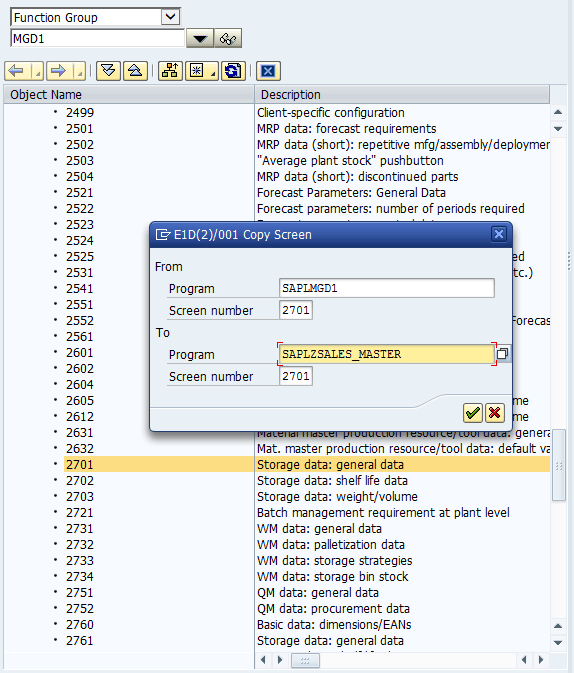 Using Screen Painter edit the new screen in your FUGR (in our case screen 2701) and rename the group to some custom text describing the group of fields you’re going to put inside. 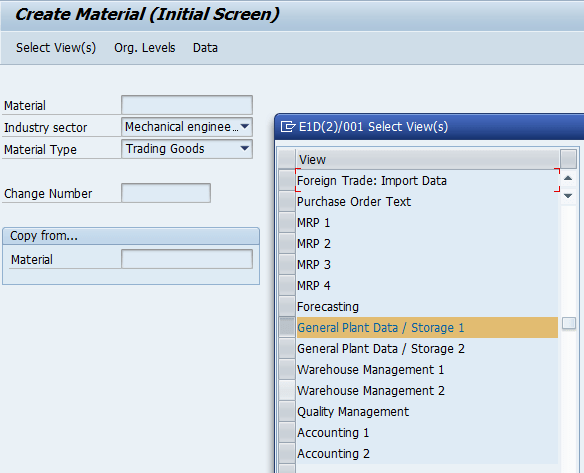 Then delete all fields from the screen and put there only your custom fields. In the code displayed remove (or comment out) all lines manipulating with fields that no longer exist in the screen and replace them with commands that will manipulate with your own custom fields. Be careful – don’t remove (comment out) module calls MODULE GET_DATEN_SUB and MODULE SET_DATEN_SUB – these are responsible for reading data from database and putting them back once you change them in the MM views. 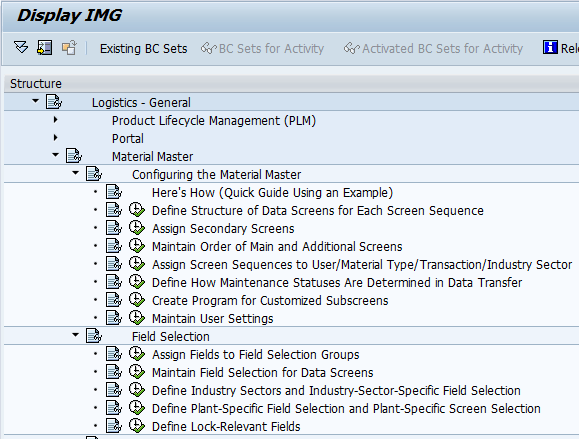 Check in the General Plant Data / Storage 1 tab, that your new field (ZZ_PROCCODE) in your new sub-screen (2161) is visible. Change its value, enter all other required fields and save changes. 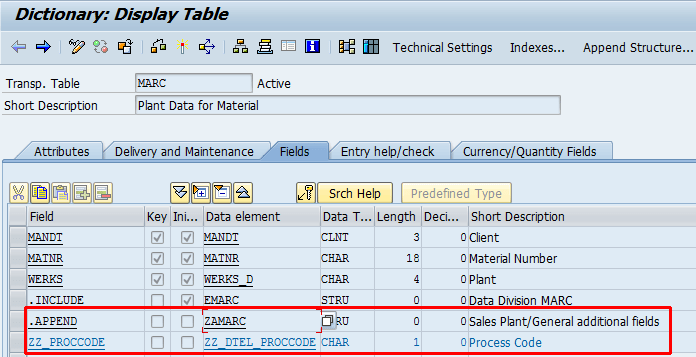 In case you need to process or modify data of your new fields (or also data of standard fields) during PAI in MM01/MM02/MM03) you have to implement Customer-Exit EXIT_SAPLMGMU_001. This user exit is called every time PAI is triggered. 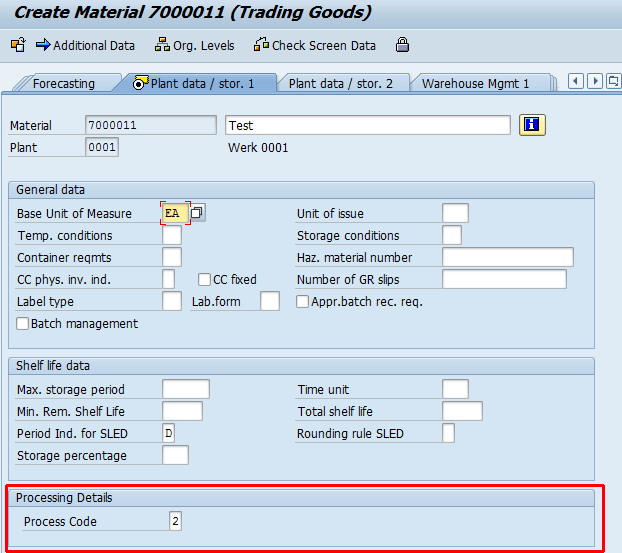 This entry was posted in ABAP, Customizing, Dynpro, Materials Management and tagged additional fields, Customizing, EXIT_SAPLMGMU_001, Material Master, MGD1, MM01, MM02, MM03, SAP IMG by Spider. Bookmark the permalink.